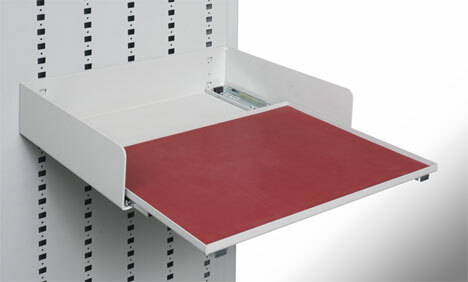 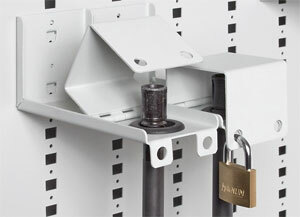 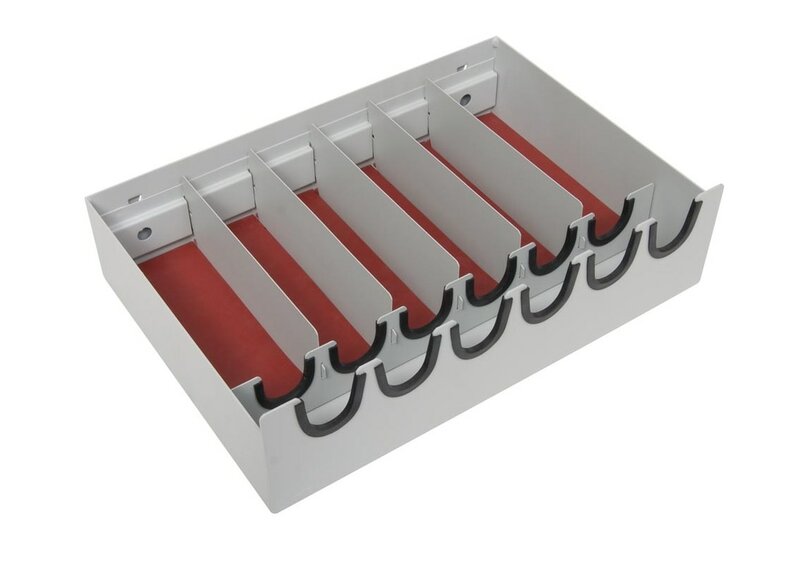 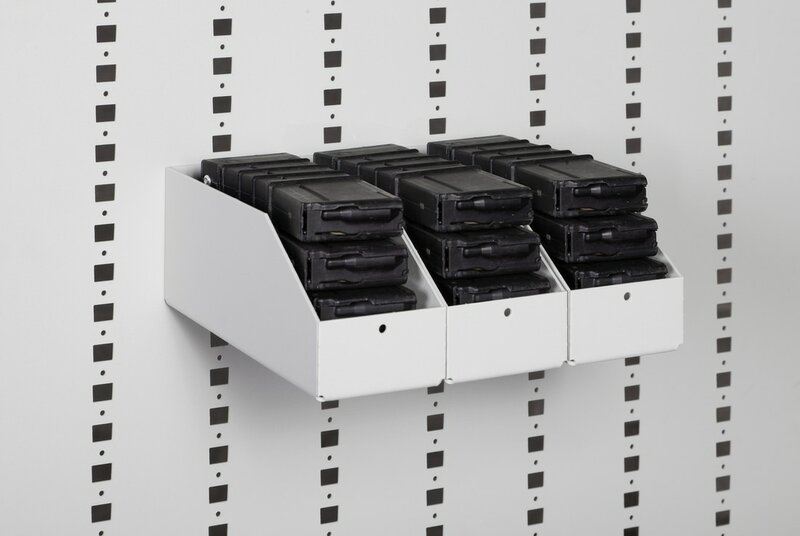 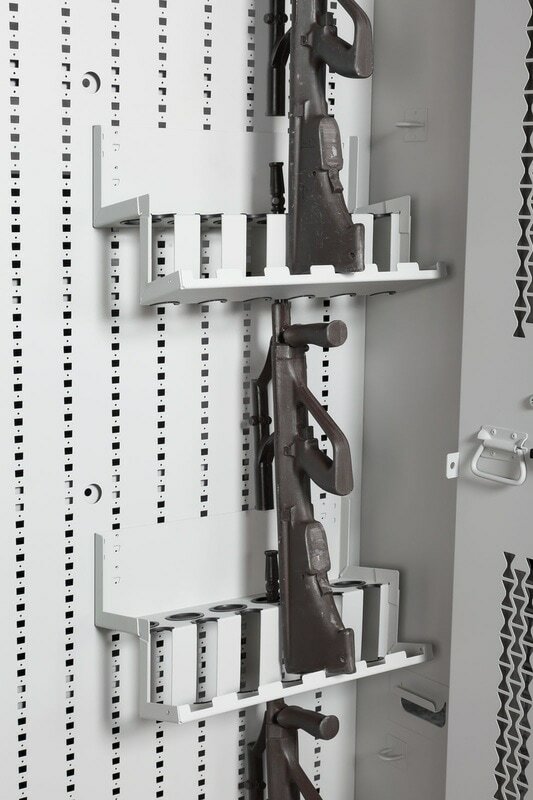 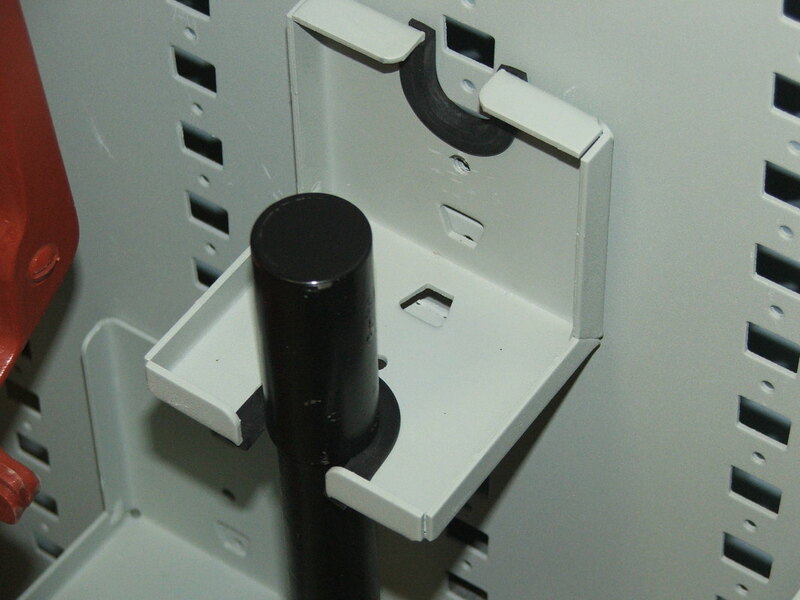 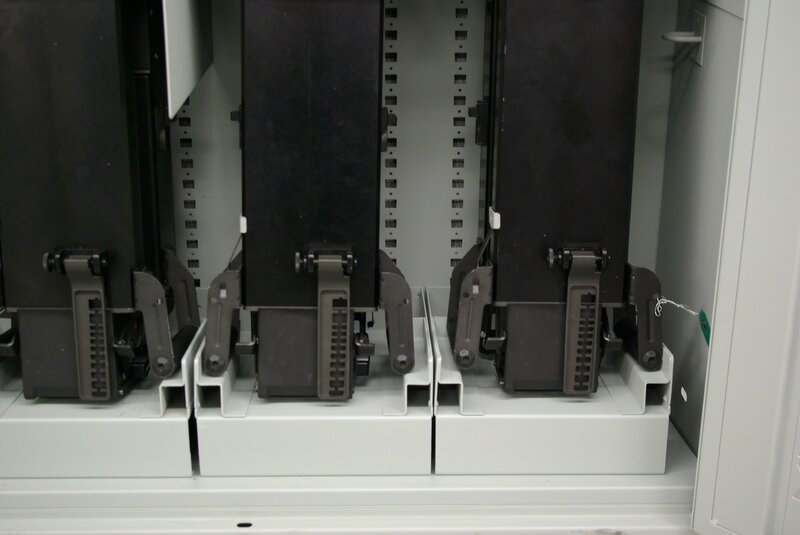 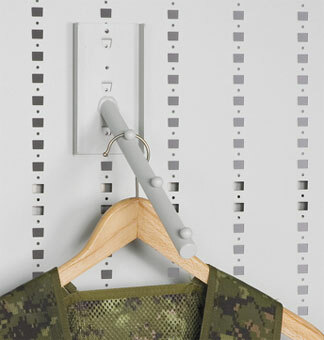 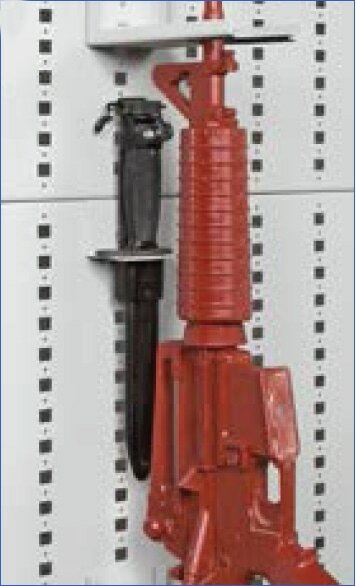 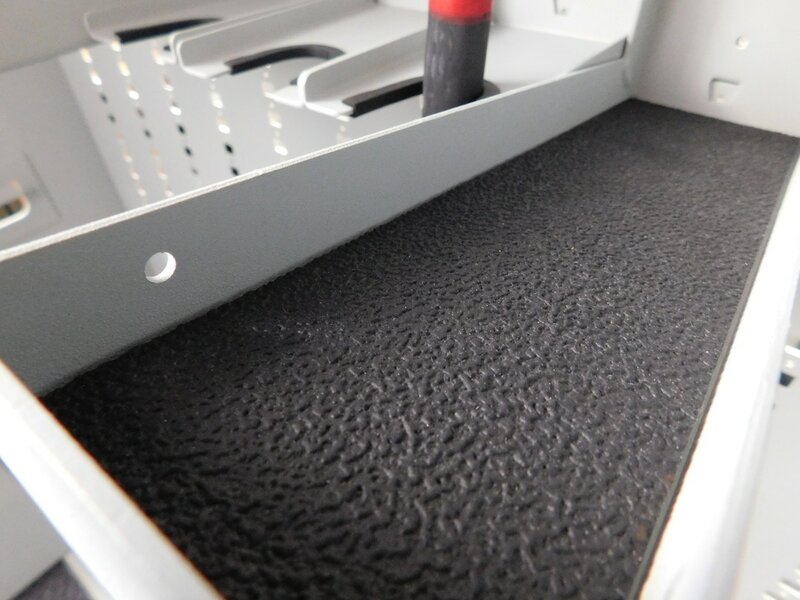 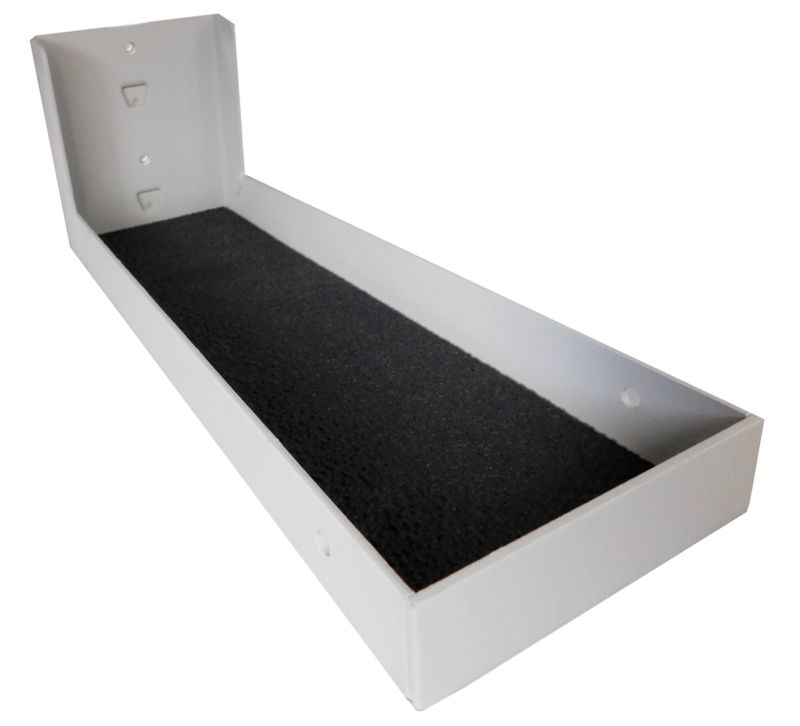 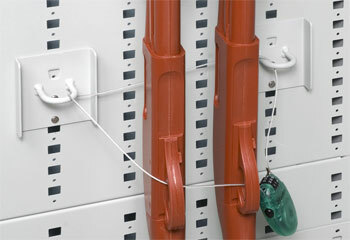 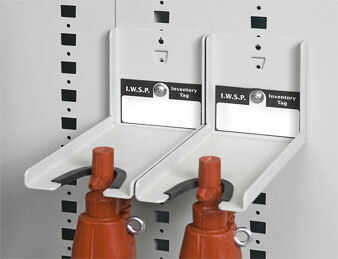 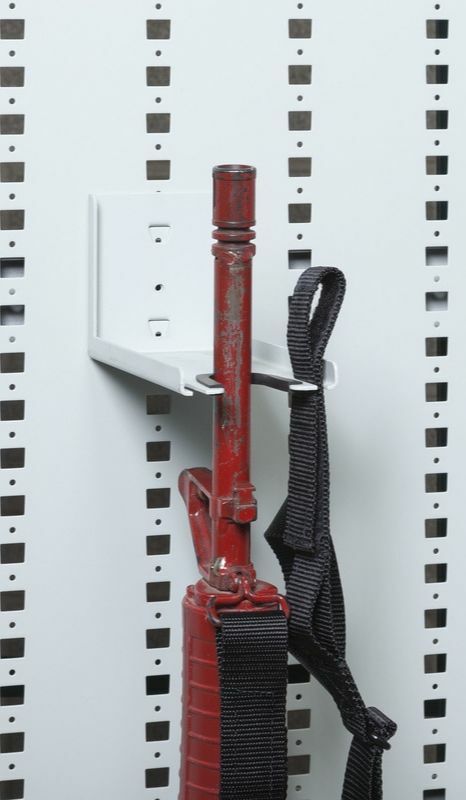 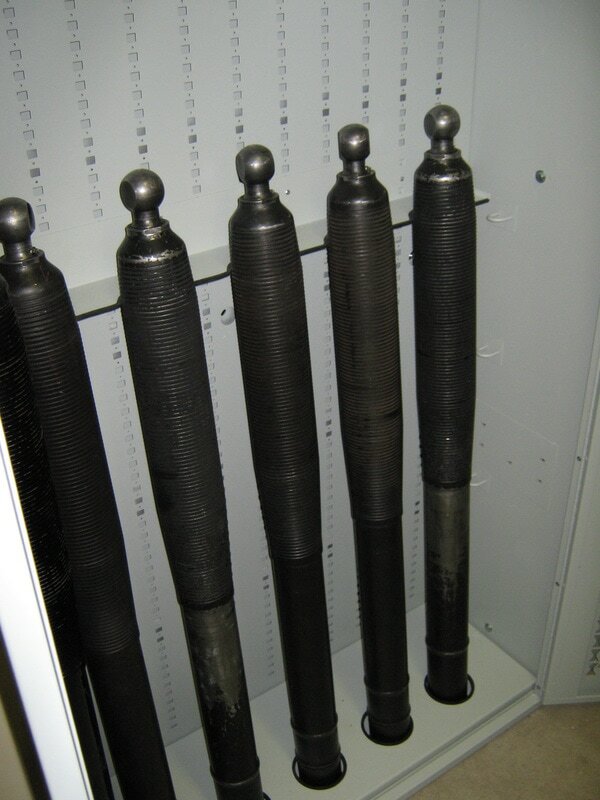 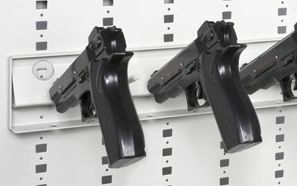 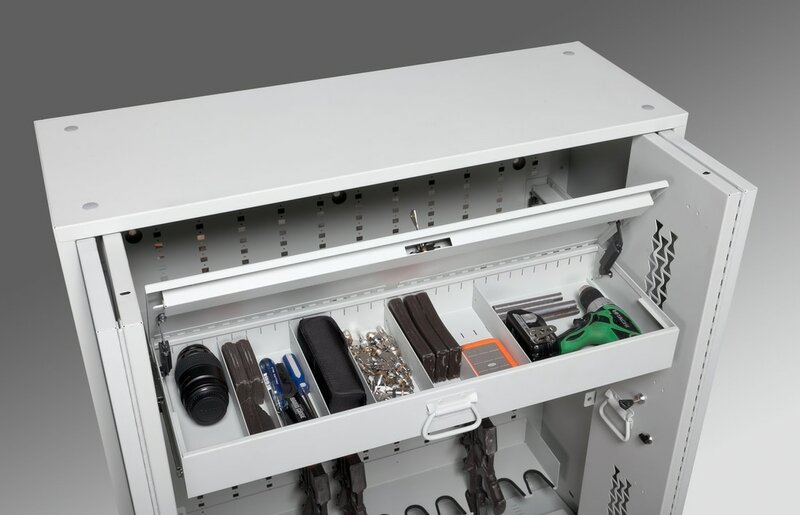 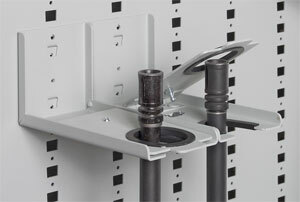 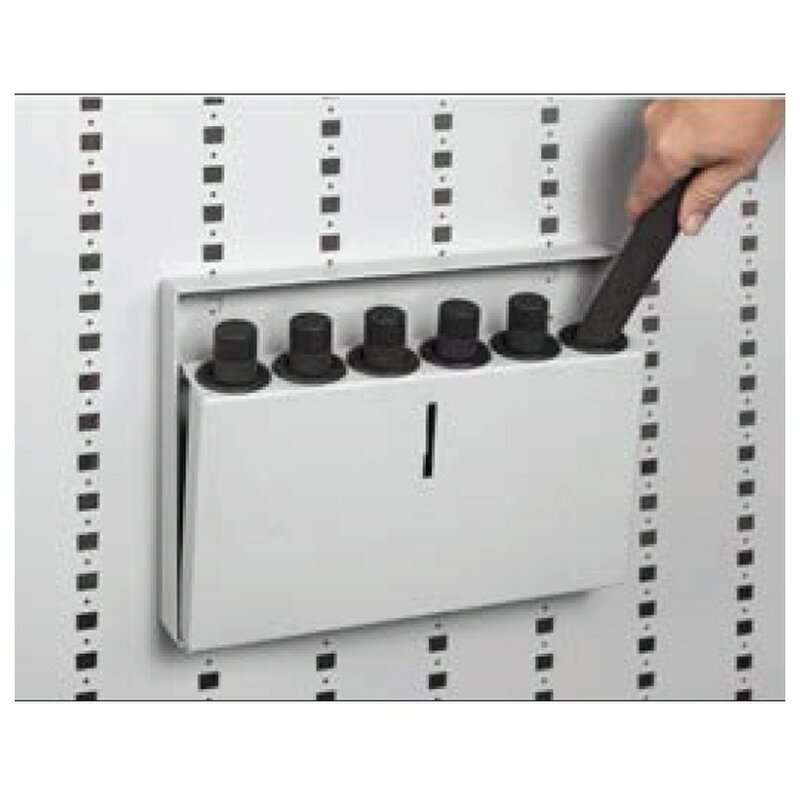 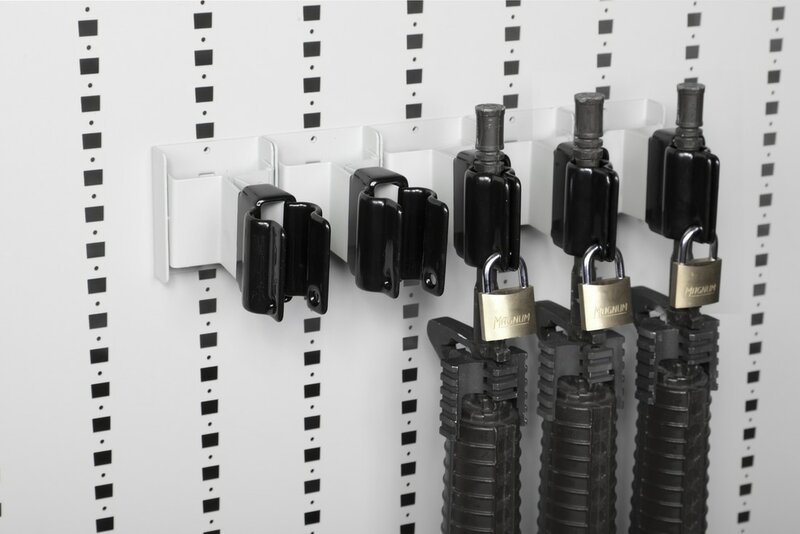 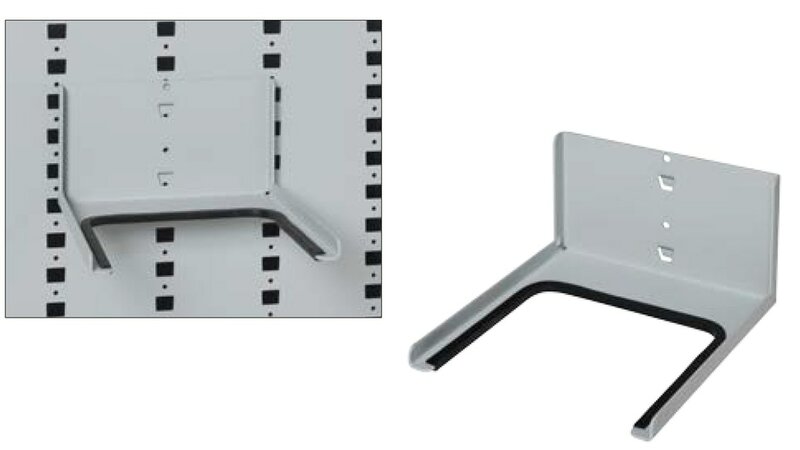 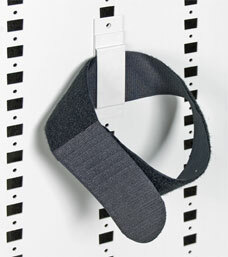 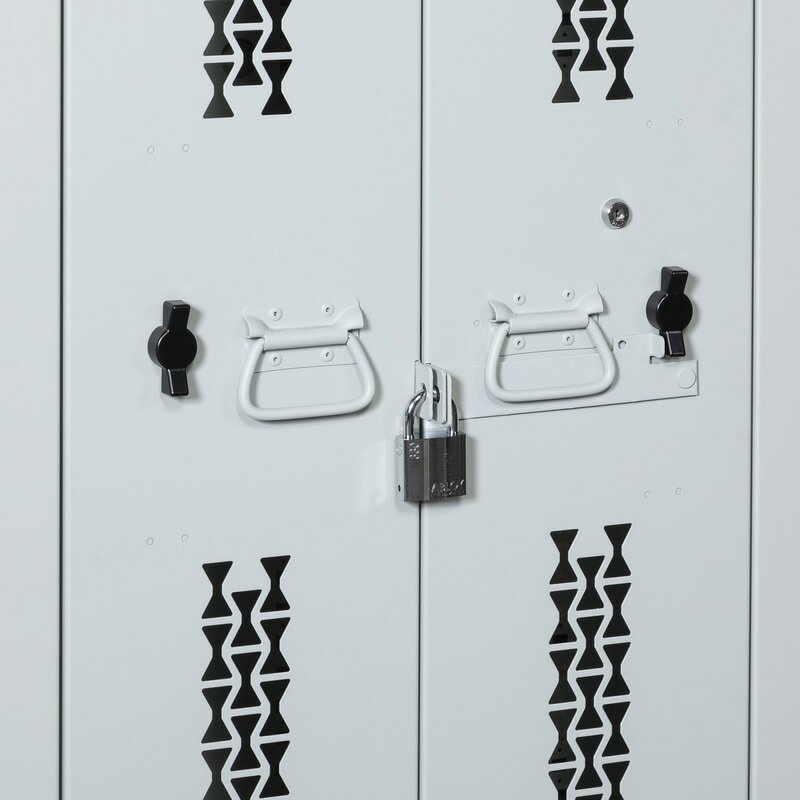 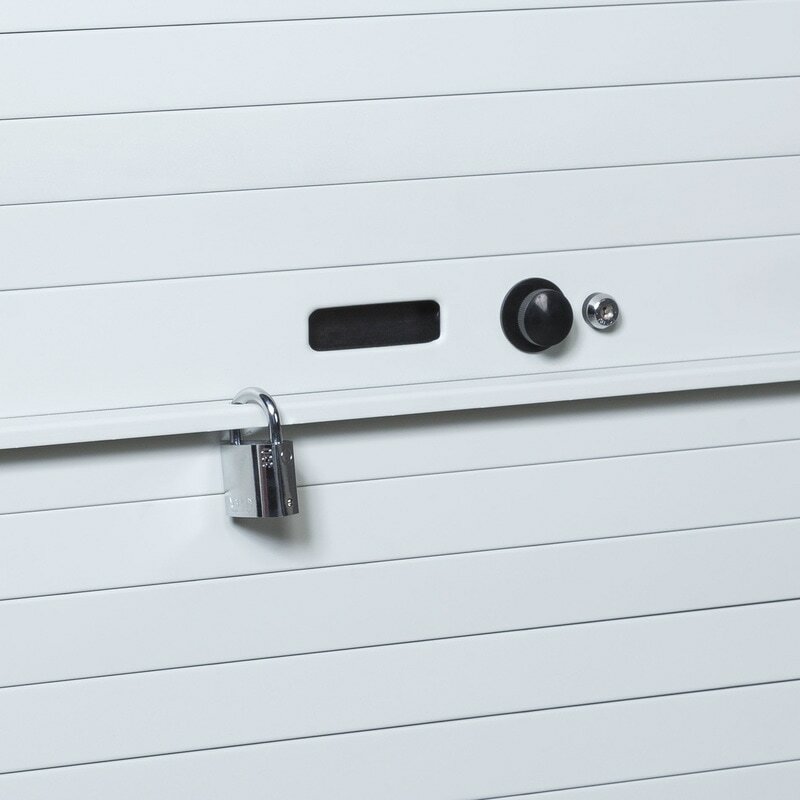 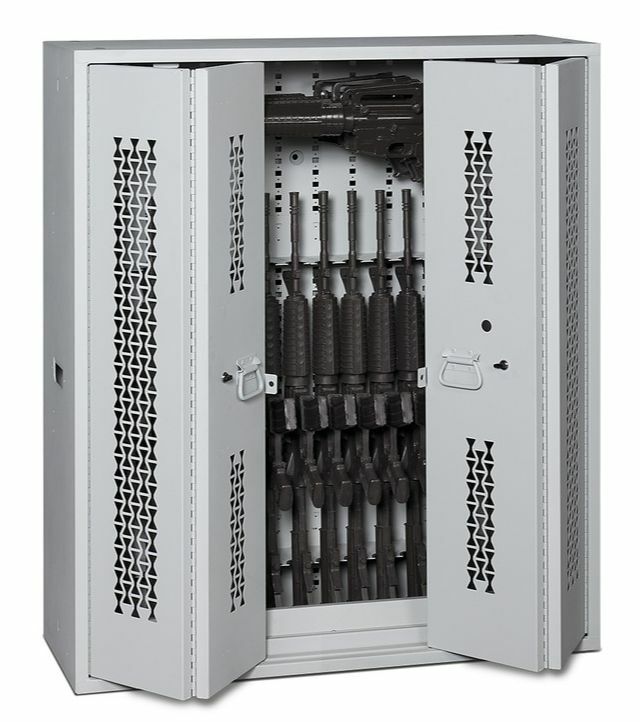 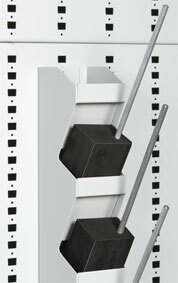 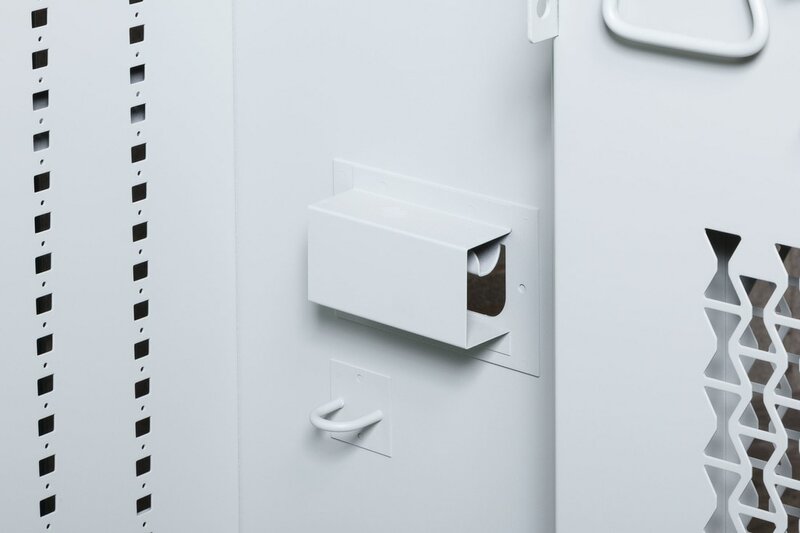 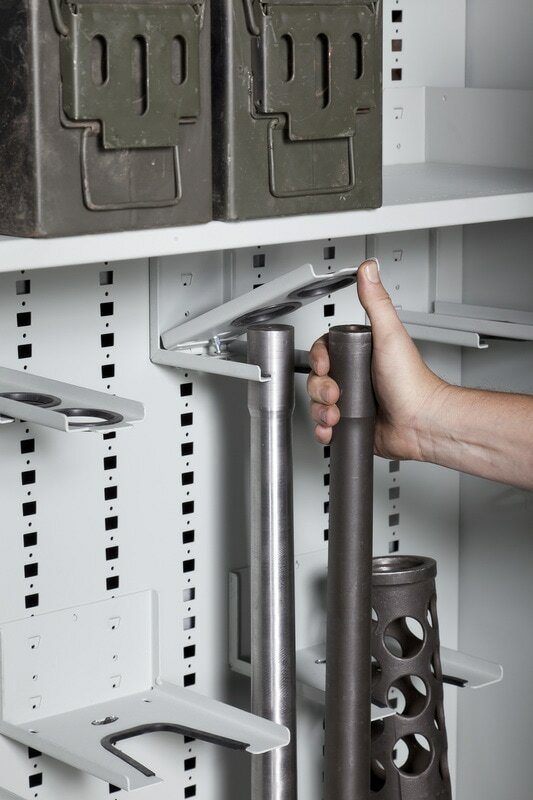 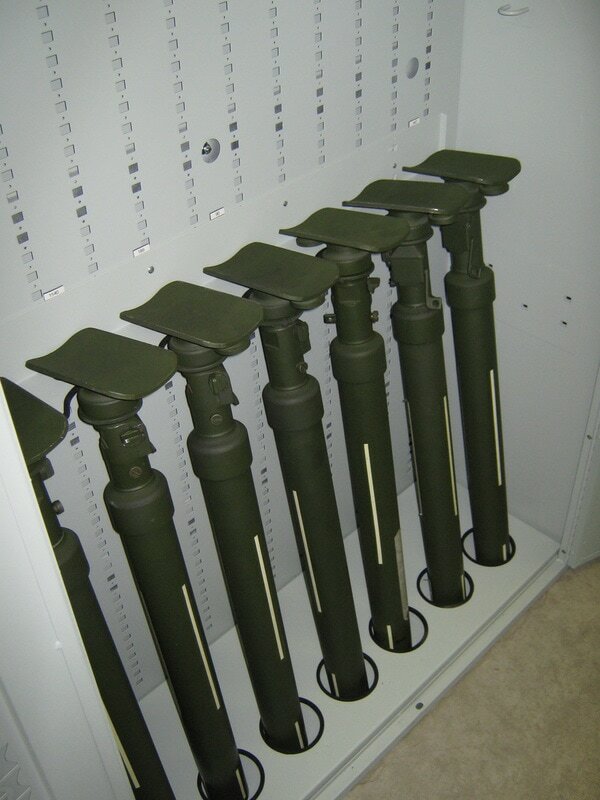 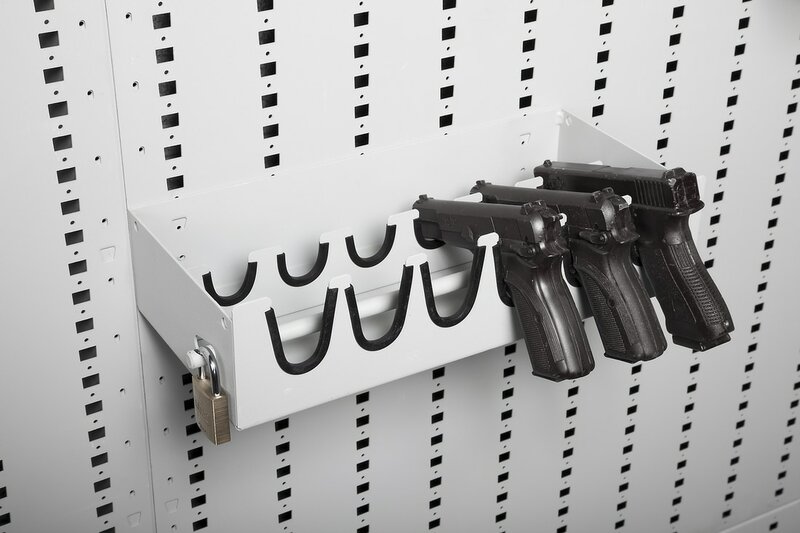 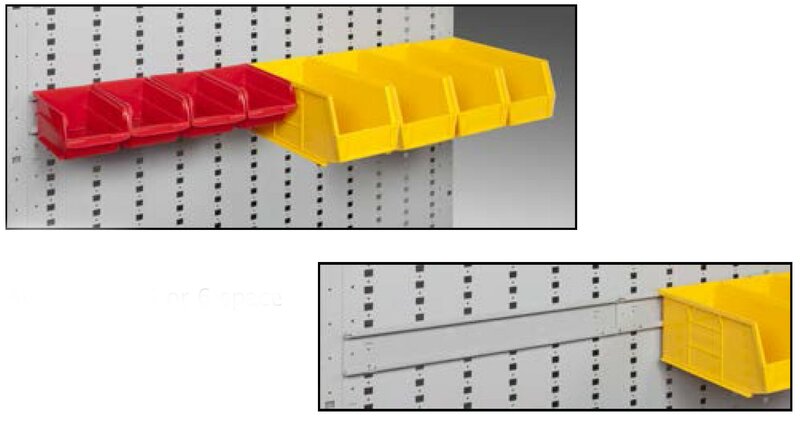 All components are design to fit securely into the reinforced universal back panel (right) used on all weapon racks, weapon cabinets, mobile carts, lockers, or any other DASCO Weapon Storage unit. 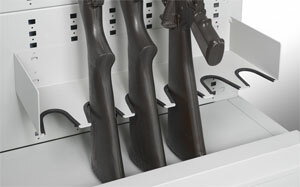 This means easy and custom configurations for different gun and weapon types, especially when inventory changes! 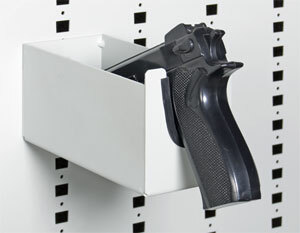 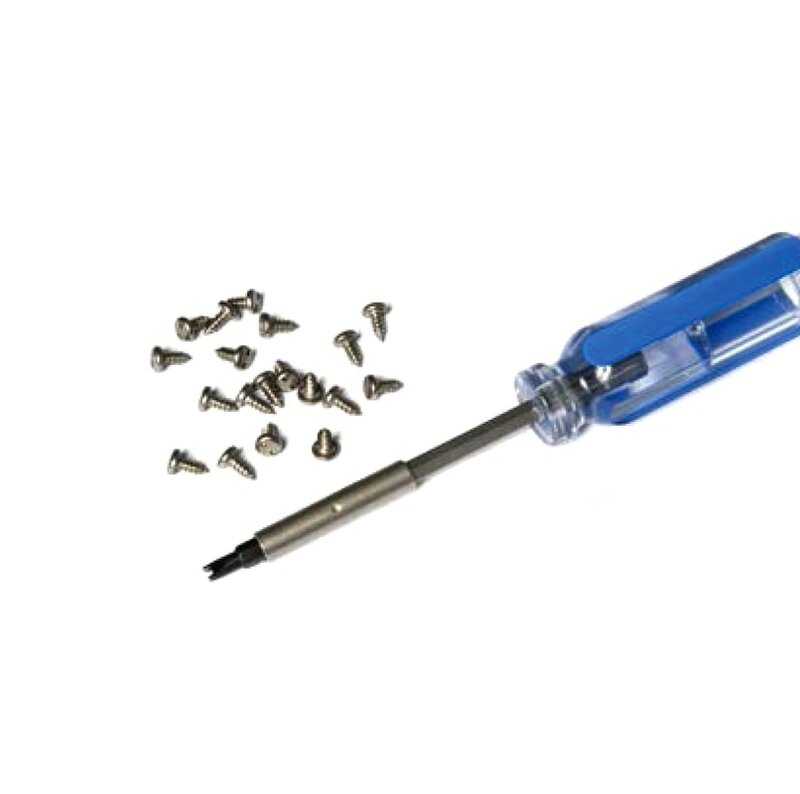 Maximum storage density with weapon specific components with a precise fit!